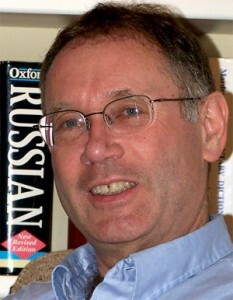 A specialist on Imperial Russian and early Soviet history, Bill Wagner has been at Williams since 1980. He has written widely on pre-Revolutionary Russian law, religion, and women and currently is completing a book entitled Russian Sisters: Monasticism, Modernity, and the Nizhnii Novgorod Convent of the Exaltation of the Cross, 1764-1935. His research has been supported by the National Endowment for the Humanities, the American Council of Learned Societies, and the International Research and Exchanges Board. Prior to coming to Williams he was a Research Lecturer at Christ Church College, Oxford University, where he taught modern European and Russian history and Soviet politics. At Williams, in addition to survey courses on modern Europe and on Russia from the medieval period to the collapse of the Soviet Union, he has taught introductory and upper level seminars and tutorials on a range of topics in modern Russian and European history, including Russian cultural and intellectual history, Russian and Soviet women, religion in modern Russia, the emergence of the Stalinist system, and the collapse of the Soviet system. He has served as chair of the History Department, Director of the Williams College Oxford Program, Dean of the Faculty and College President.